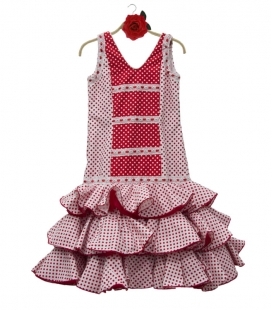 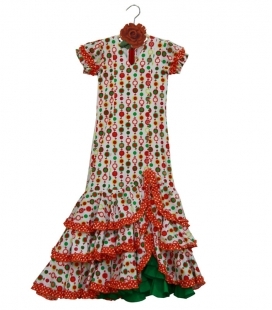 Girls Flamenco Dress Size 6, Ref: 990620 BeautifulGirls Flamenco Dress Maribel model, has a nice white background with dots and fuchsia details. 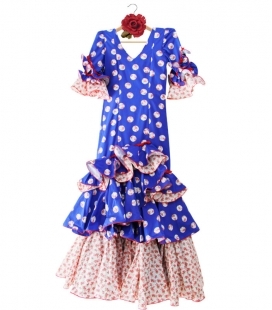 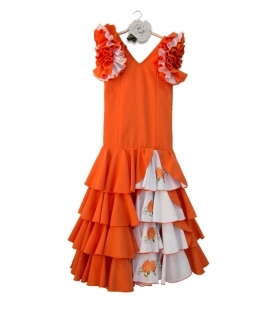 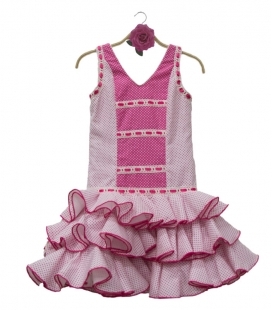 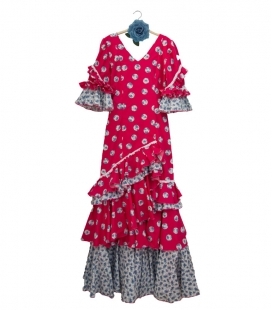 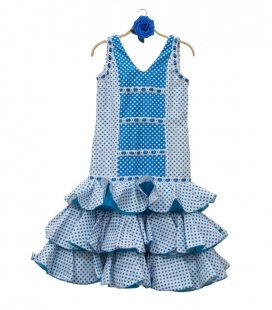 It has three double ruffles, sleeveless and V-shaped neckline. 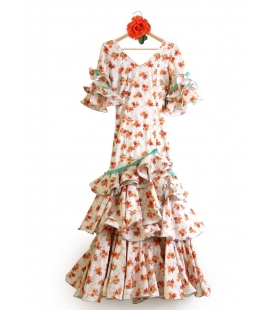 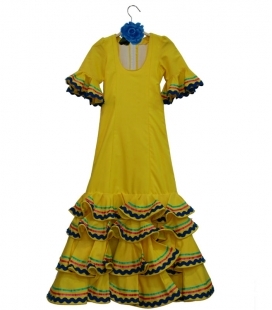 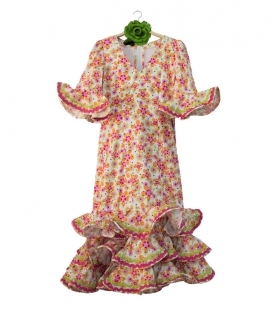 Approximate measures of contour: 66 cm, Waist: 66 cm and Length: 70 cm.Spanish girl dress for sale in unique sizes and colours.